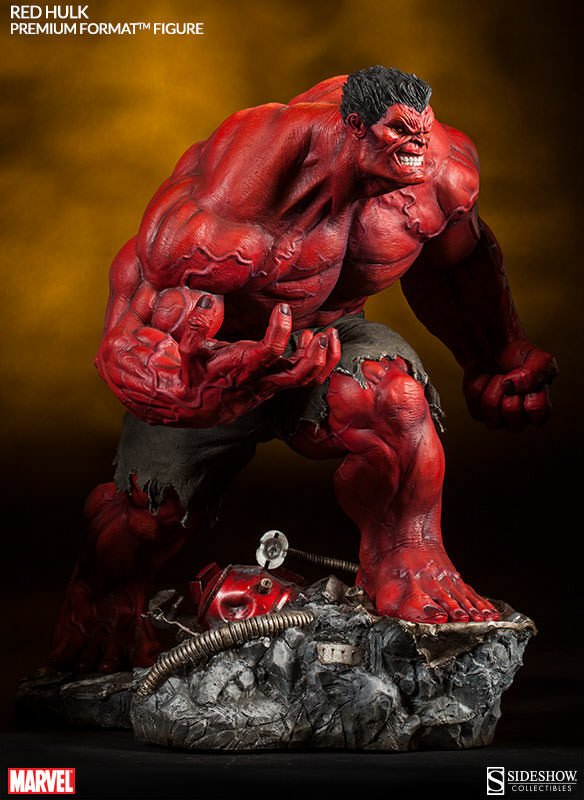 A dangerous addition to the gamma-powered community, Red Hulk is a fearsome threat to Hulk and his allies. 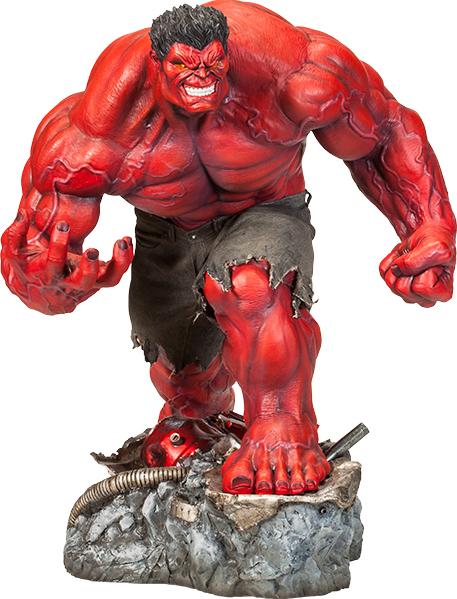 Originally known as General "Thunderbolt" Ross, he let his obsession take him over the edge and through science became that which he hunts! 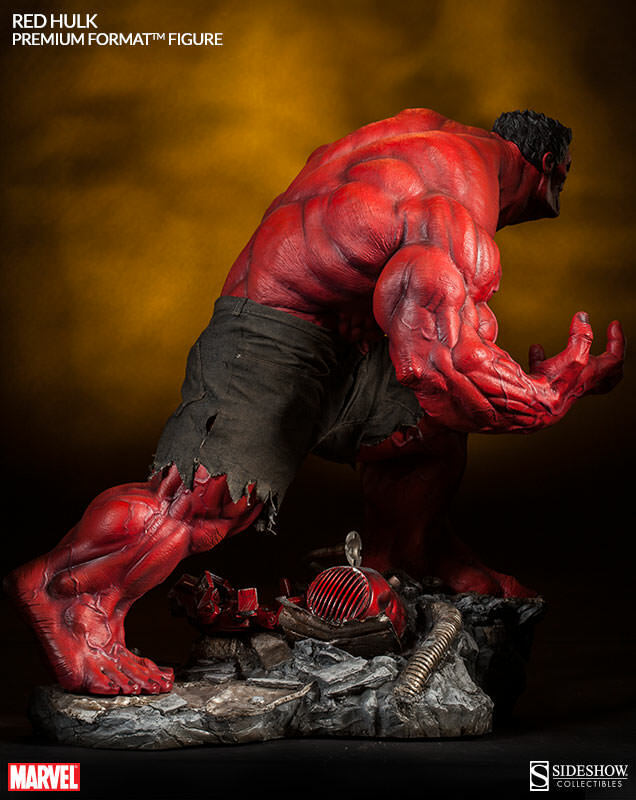 Artists behind the creation of this startling statue include Mike Najera (Paint), Pablo Viggiano (Sculpt), Jennifer Johnson (Costume), Kristafer Anka (Design) as well as the Sideshow Collectibles Design and Development Team. 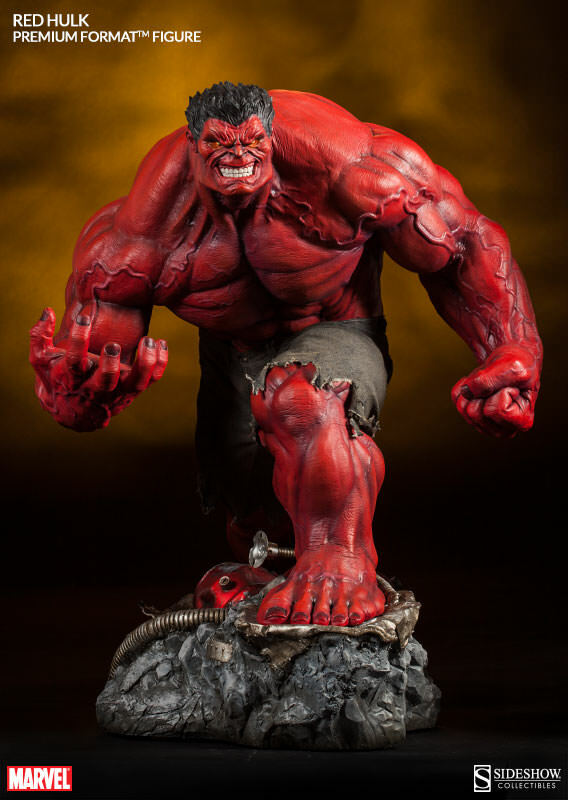 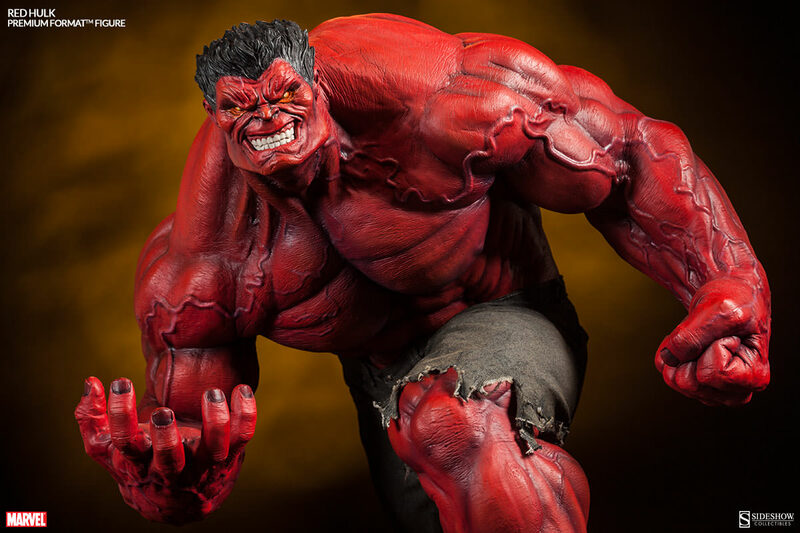 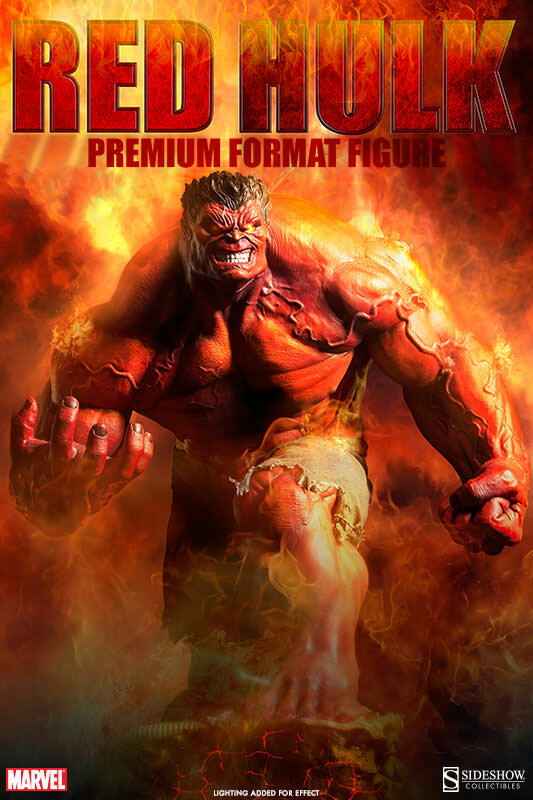 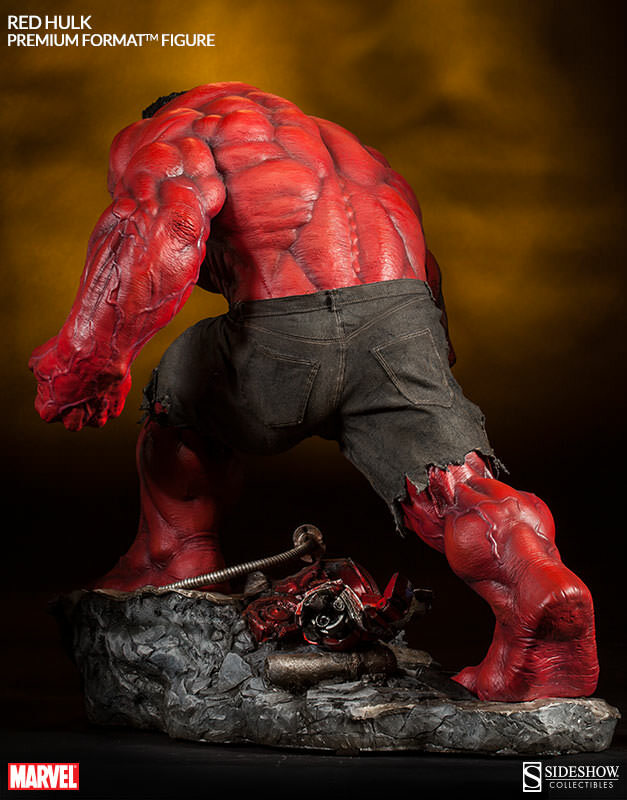 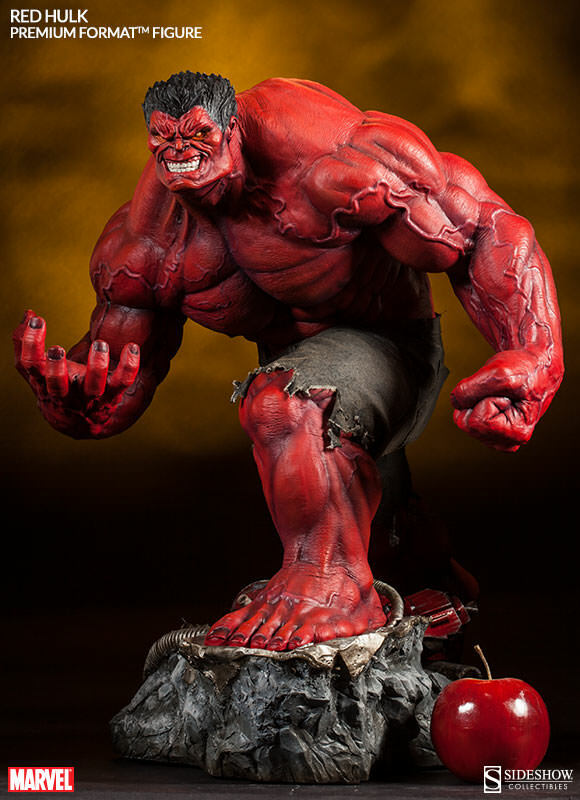 Pre-Order your Red Hulk Premium Format™ Figure today!